Musk to make history… again! SpaceX is launching their Falcon Heavy rocket on it’s first test flight! Wait, this is a car blog, why the hell do we care about a rocket launch? Good question. 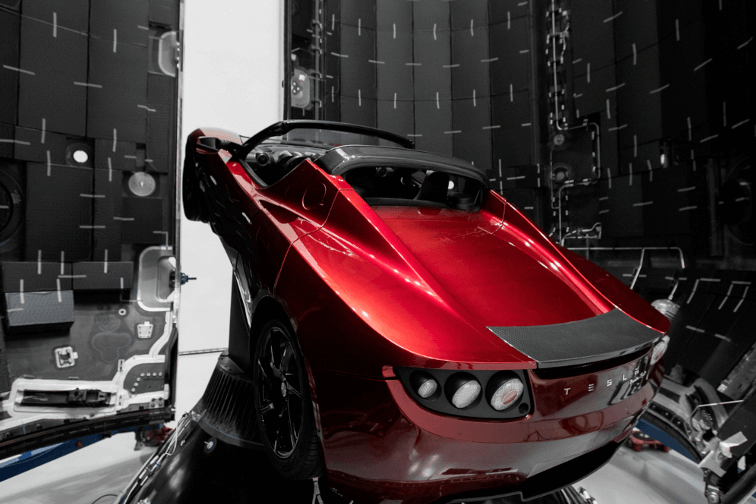 As we had written before, Elon Musk had planned to send his very own 2008, cherry red Tesla Roadster playing David Bowie’s “Space Oddity” on a loop as the test payload for the rocket. SpaceX has received the go-ahead from the Federal Aviation Administration for the unusual payload and the mission is a go. Gotta love a billionaire who doesn’t stand for anything dull. Oops, sorry, my fanboy is showing again. This launch is both amazing and horrifying. A part of me is so excited that the car that began the EV revolution will be flung into the far reaches of our solar system and forever immortalized, I’m also horrified that this beautiful piece of machinery will be gone forever. Sure the original roadster didn’t have much in the way of acceleration, battery life or broad appeal, but just look at it! It’s a very cherry red Lotus Elise, that’s a good looking little car! The historic launch will happen February 5th at 3:45EST in Cape Canaveral, Florida. The maiden voyage for the Falcon Heavy will propel the Tesla Roadster payload into a geo-synchronous orbit, 22,5000 miles above the earth, while SpaceX aims to recover all 3 parts of the rocket, the 2 boosters and the core. No matter what the outcome is tomorrow, maiden flights for rockets being notoriously bad with a high chance of exploding, Tesla will make history by being the first production road legal vehicle to leave our atmosphere or the first ever production road legal vehicle to be obliterated by detonating liquid oxygen in a catastrophic rocket failure. My money is on they make it, what do you think? Catastrophic failure, or the first production road car in space, let us know in the comments below!